Chelsea are reportedly lining up a £30million summer transfer window swoop for Newcastle defender Jamaal Lascelles as a long-term replacement for John Terry. 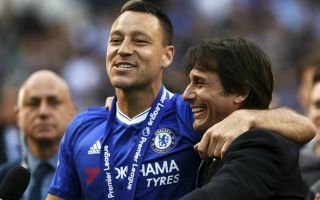 According to the Daily Mirror, the Blues see the 24-year-old as an ideal candidate to come in and provide the kind of leadership they’ve lacked at the back since Terry’s departure at the end of last season. Of course, many will feel a legendary figure like Terry will be near-impossible to replace, but Chelsea are admirers of Lascelles’ leadership qualities and are being linked with a £30m move. The England Under-21 international has certainly stood out as one of Newcastle’s finest performers in the Premier League this season, doing well to make the step up to top flight football after also impressing in the Championship last term. Chelsea could generally do with more options in defence after some unconvincing form from the likes of Gary Cahill and David Luiz this season, while youngster Andreas Christensen could perhaps also do with being eased into his role a little more slowly. The Mirror add that while Newcastle would unsurprisingly be loathe to lose one of their most important players, Lascelles himself could be tempted by an offer to make the switch to Stamford Bridge.